As you may now know, I'm no longer creating stationery suites for weddings, etc. It was great for 6 years, but after the birth of my son, it became very difficult to keep up with clients, have meetings, and meet deadlines. Now that I kind of have a handle on my boy, I'm heading back to my first love of photography! I love love love weddings and working Saturdays is very conducive to my schedule as a mom :) In fact, if you're getting married, check out my giveaway to win FREE wedding photography! The good news is that I found a great local (San Francisco) stationer who creates the most beautiful wedding invites! Her name is Kerry and she rules over at Paper Dahlia. Her work can be seen at Minted, Pressroom & Co., Big Cartel, and of course on her site! 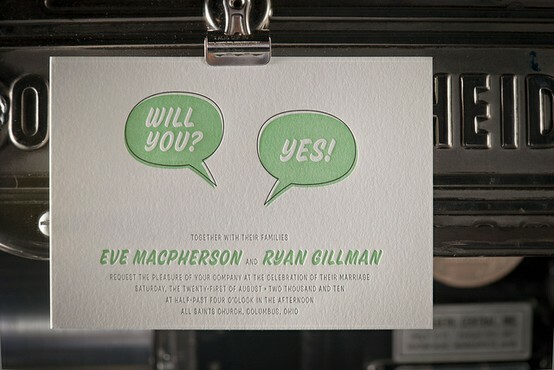 She has recently launched a few new letterpress designs that are really sweet! Here are a few photos!